The OICSD advances multidisciplinary research on the opportunities and challenges of sustainable development in India, with implications for the wider world. The Centre fosters research on a core set of themes by bringing together different academic disciplines and approaches, develops future leaders by supporting exceptional Indian scholars to study at Oxford, and translates academic ideas to inform policy-relevant actions and impact in India. It takes a broad view of sustainable development, encompassing the social, environmental, economic, technical and policy aspects; with an interdisciplinary and cross-cutting approach across the physical and social sciences and the humanities. The OICSD offers a range of scholarships associated with various Master’s and DPhil degrees to support graduate students who work on the complex challenges of sustainable development in India. We fund students with exceptional academic records and those who have demonstrable leadership in research and research-related impact in their fields of study. We look for outstanding candidates who want to adopt a multidisciplinary approach to research and are committed to returning to India. The following scholarships are available for the academic year 2019-2020. Up to three full scholarships are available for applicants who are either ordinarily resident in India or have previously studied at an Indian higher education institution. You must be applying for one of the eligible full or part-time Master’s courses listed below or for a DPhil course with proposed research in the eligible areas of study. These scholarships have been made possible due to the generosity of the Government of India and University of Oxford. 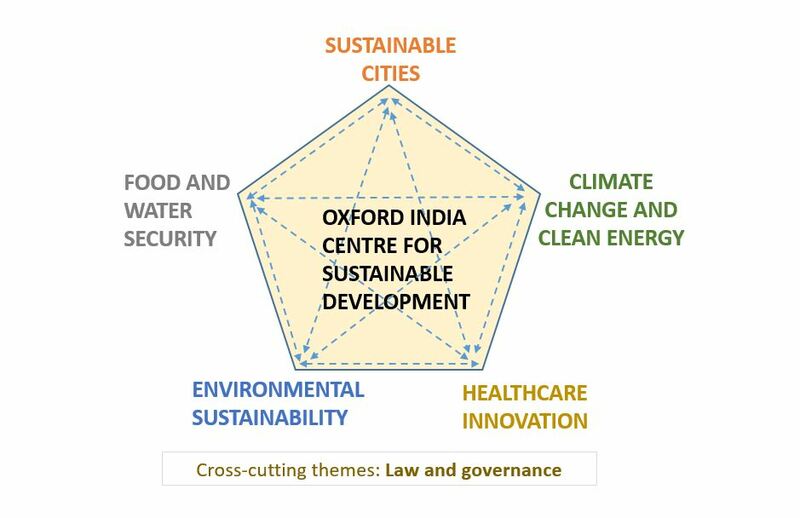 Your proposed area of study must be relevant to the Oxford India Centre for Sustainable Development’s agenda of interdisciplinary research on sustainable development and India. DPhil applicants considered can be from any university department. The Centre focuses on a series of impact themes as seen in the figure above, such as, climate change, energy, cities, healthcare, environmental sustainability and food and water security. One full scholarship is available for applicants who are either ordinarily resident in India or have previously studied at an Indian higher education institution. 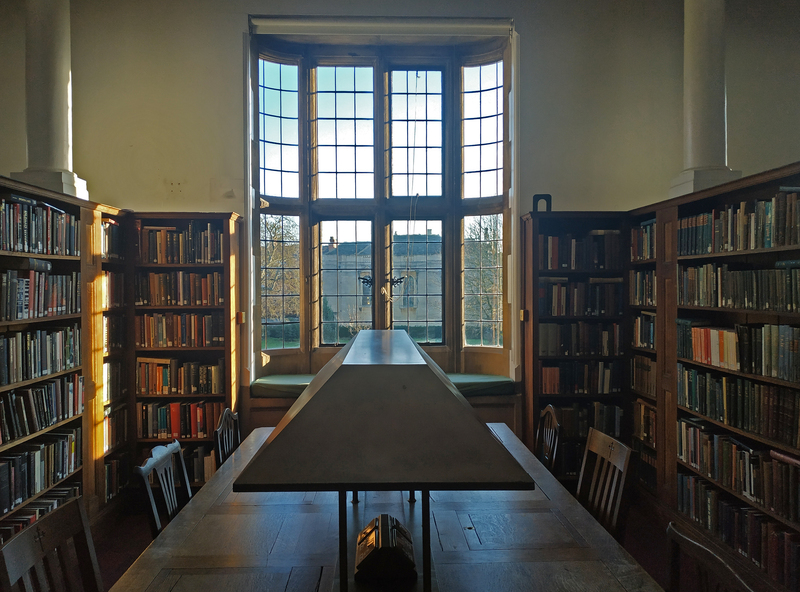 You must be applying for one of the eligible full- or part-time master’s courses listed below or for a DPhil course with proposed research in the eligible areas of study. Specifically, the area of research must be aligned with work in human nutrition, which can include agriculture, food, drinkable water and health. There is no separate application process for this scholarship. To be considered, submit your application for graduate study by the relevant January deadline for your course. Please see the Standard scholarship selection terms for more information about the application and selection process. One scholarship for candidates ordinarily resident in India, or having previously studied at an Indian university. The scholarship is for Modern South Asian Studies, for studies related to India and sustainable development as considered by the OICSD. To be considered, submit your application for graduate study by the relevant deadline for your course. Please see the Standard scholarship selection terms for more information about the application and selection process. One partial scholarship for applicants who are either ordinarily resident in India or have previously studied at an Indian higher education institution. The Ratanshaw Bomanji Zaiwalla scholarship covers a partial contribution towards course fees, college fees and living costs for full-time students to the amount of £20,000. Awards are made for the full duration of your fee liability for the agreed course. To be considered, submit your application for graduate study by the relevant January deadline for your course. Please see the Standard scholarship selection term for more information about the application and selection process. One partial scholarship is available at Somerville College for applicants who are either ordinarily resident in India or have previously studied at an Indian higher education institution. One partial scholarship, generously offered by Mr Hemant Sahai, is available at Somerville College for applicants who are either ordinarily resident in India or have previously studied at an Indian higher education institution. The HSA Advocates Law Scholarship covers a partial contribution towards course fees, college fees and living costs for full-time students to the amount of £20,000. Awards are made for the full duration of your fee liability for the agreed course.